The holidays result in stress for many families, but cold weather can also add extra stress by causing car and appliance failure. This can leave people juggling car repair bills with Christmas shopping or scrambling to find someone to fix their only source of heat. 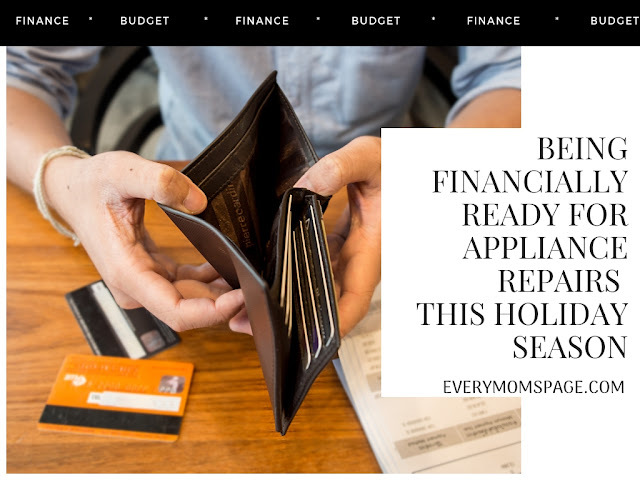 Saving for an emergency and staying up-to-date on maintenance, while also balancing spending on food, gifts, and decorations in the winter, is crucial to preventing undue anxiety over things like auto and furnace repairs. While borrowing easy installment loans, pawning valuables, and charging credit cards are always there as reliable backup options, it’s best to avoid them whenever possible via savings and responsible money management. Begin planning several months in advance in order to have backup funds for winter emergencies. Starting in late summer, put at least ten percent of each paycheck into savings, designate one set amount for unplanned payments and another for gifts, and do not touch the money until after the holiday season has passed. Hopefully, there will be money left over, which can roll into an emergency fund for the next year. Purchasing gifts in advance can also ease the burden of spending hundreds of dollars in late November and early December. Have an idea of what family members and friends will want, and try to buy one to two gifts each month, starting in September. Sales will even go on in January, right after New Year's Day. Find presents almost a year in advance so that when the next holiday season is in full swing, there will already be a few gifts on hand. By balancing fun spending with necessary spending, you will be financially prepared to fix a broken furnace or car during the cold months. The best way to avoid making unexpected payments all together is to keep up with the maintenance of major home appliances. Since the furnace is likely the only way of keeping the house warm during winter time, ensure that there are no problems with it when you first turn it on in the fall. Inspect it, and if there seem to be any concerns, call a professional. Paying a little for a minor fix could end up saving you a lot for a major fix in the long run. The same goes for cars and trucks. The cold weather can be a challenge for automobiles, so always keep up on routine winter maintenance such as oil changes and tire rotations. Also be aware of the tires and how much tread is left. Worn down tires in icy conditions are dangerous and are the cause of many wintertime collisions. Insurance will cover basic costs, but some problems can only be prevented by providing your car or furnace with basic tune-ups and care. Of course, it is not a guarantee that basic maintenance will prevent all issues the cold weather brings with it, but it will at least reduce the chances of an emergency. While the holidays end up causing many people excessive financial stress, saving wisely and keeping up on maintenance throughout the year will ultimately result in a much calmer winter season. Although it can be difficult to remember at times, spending a little right now could end up saving a lot more in the future. The holiday season should not be a time to worry about money but instead, time to appreciate and be with friends and family.